Original design OOAK made by me. 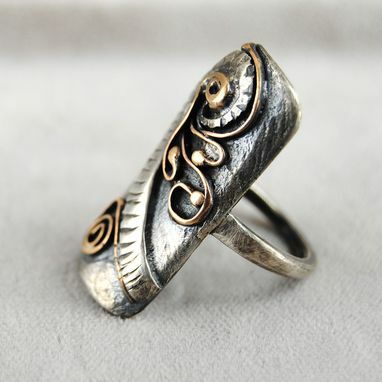 Mixed metals: Sterling silver with gold fill elements. 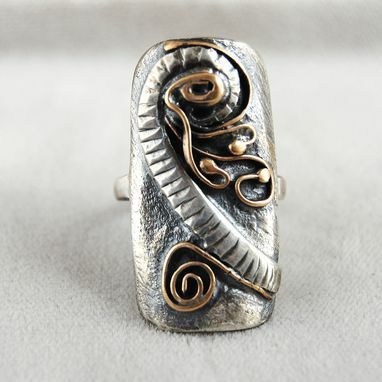 Abstract organic shapes set off by stamped center element in sterling silver. 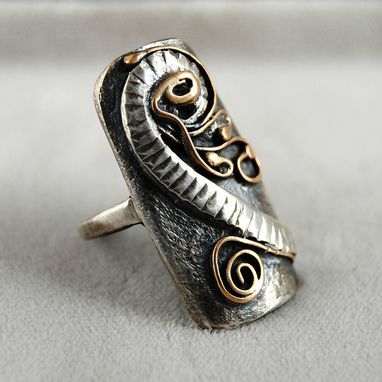 Silver is oxidized black providing contrast for the organic gold shapes on top. Tax and shipping are included in price--see policies.